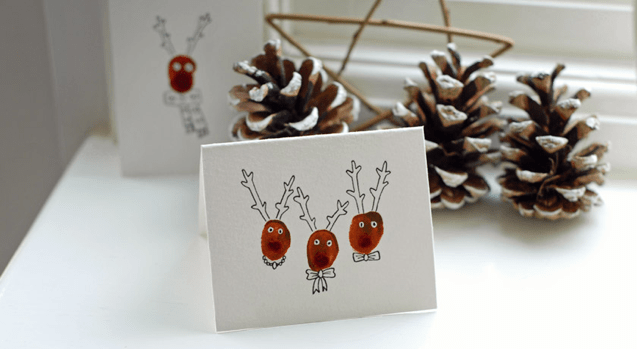 This holiday add a personal touch by making your own Christmas cards for family and friends. It’s inexpensive, easy and fun. Don’t have the time? Then why no embellish inexpensive store-bought cards. 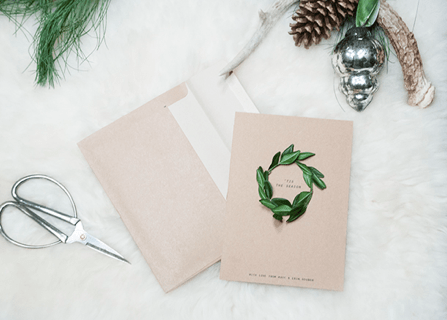 You don’t have to spend a small fortune to have nice Christmas cards…just embellish inexpensive plain cards. 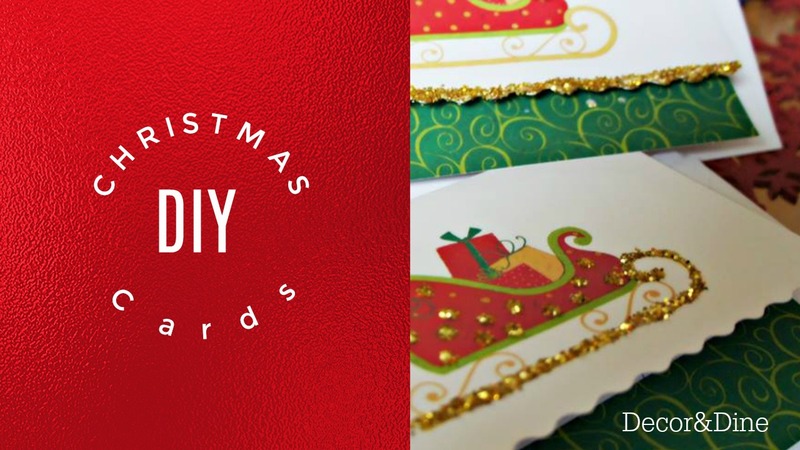 Using white glue and glitter you can make your dollar store cards sparkle. 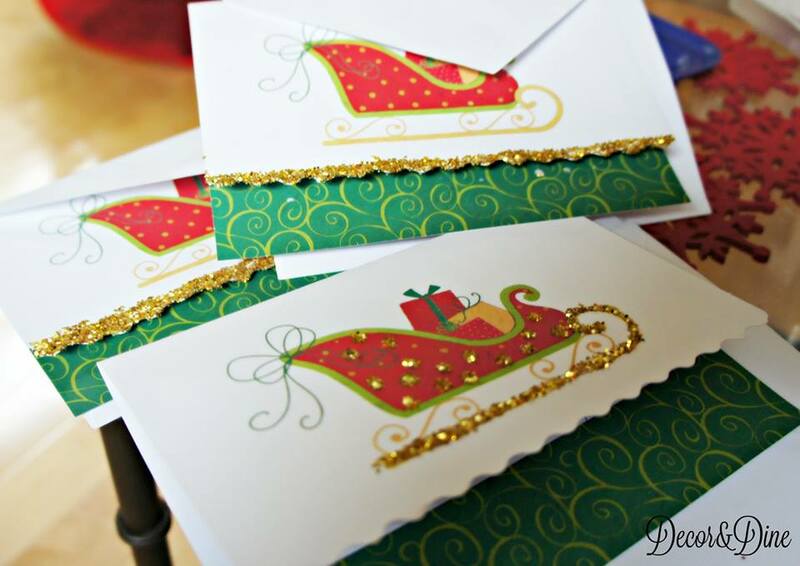 Margaret simply applied glue to different sections of the cards and sprinkled on the glitter. Each card can be unique. 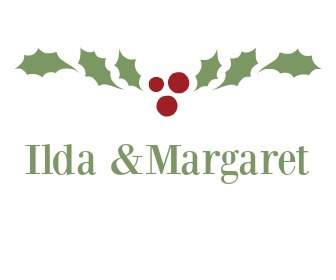 A fragrant and inexpensive Christmas wreath card made from rosemary. 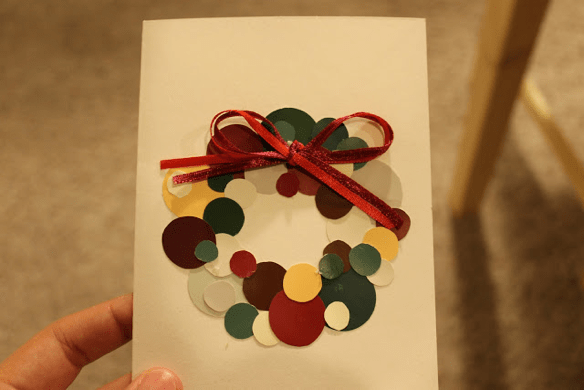 Fragrant Wreath, Ernest Home Co.
A pretty greeting card only using glitter tape. Now how easy is that! 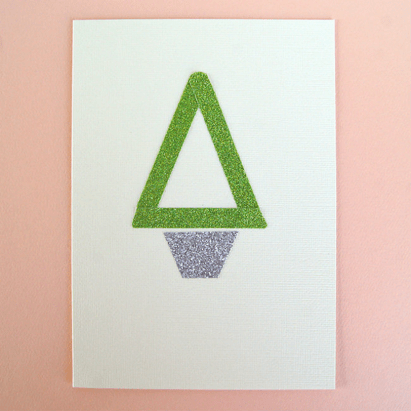 If you have paint chips hanging around this is the ideal DIY card. A pine sprig and coloured buttons is all you need. Get your children involved and put their thumb print on this card. 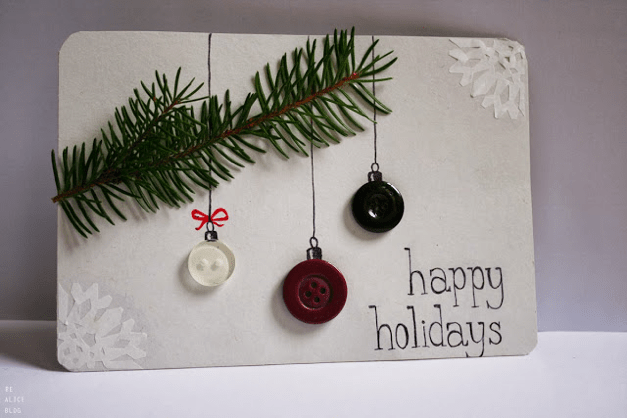 Your family and friends will be pleasantly surprised with your one-of-a-kind cards.